Make your room a SPLASH! 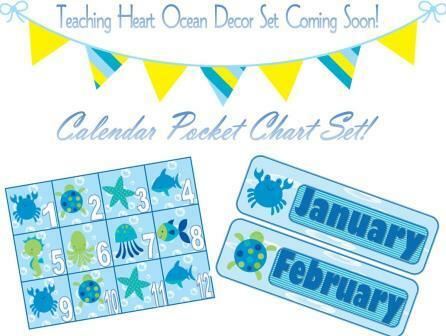 Calendar, Forms, Bulletin Boards, Displays, and so much more for your ocean themed classroom. The colors in this set are sure to relax you! will be relaxed and swimming through a new school year with this set. Make back to school set-up a SPLASH! Please see details of all the items in this set. Check out the preview for pictures of most of the files included! Due to the large size and so that I can provide all the files in PDF as well as either Publisher or Word, the files come Zipped. If you own Word or Publisher you have the option to modify these files to meet your needs. Fish of the WeekA Black and White form with an Ocean Theme for Student of the Week to fill out. In Publisher and PDF. Thank You CardA Thank You Card with an Ocean Theme for you to print and use. In Publisher and PDF. Ocean Conference FormA form for you to use for conferences to send home with students to remind their parents to swim on over for conference time. PDF and Word. ABC Postersthese print on standard size paper. Includes letters AZ in a cheerful blue and yellow color. In Publisher and PDF. frame. Dice, dominoes, and tally mark. the number of triangles you need to spell your phrase. Then print on the letter circles you need. Glue the circles to the triangles, string the set, and you are ready to display! Yellow and blue cheery theme! In Publisher and PDF. Days of the Week2 strips printed per sheet. Includes Today Is, Yesterday Was, and Tomorrow will be and 7 days of the week. In Publisher and PDF. shapes, just type over text and create as you like. Make Banners, Labels for folders, Binder Covers, Use to display names of kids in your class on your door. Endless ideas. Calendar Numbers and Days of WeekWorks wonderfully with the Calendar pocket chart.